LTC Powered Access Ltd supply machines to all parts of the country courtesy of our membership with the Access Link. 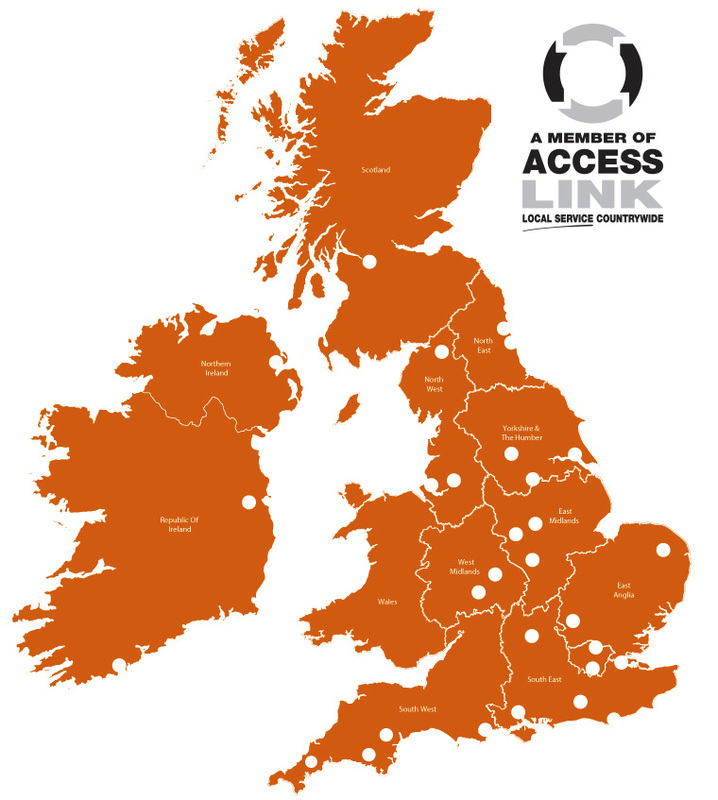 Access Link is an association of regional powered access companies, who together, provide their customers with national coverage with only one point of contact. We have 29 depots and 4,700 powered access units spread throughout the UK and Ireland. Access Link is the UK’s only association of professional hirers and suppliers of access equipment so if you are looking to hire a cherry picker, powered access platform, mobile elevated work platform, telescopic boom, scissor lift or scissor lift table, skylift, articulating boom, boom lift or looking for IPAF training or powered access training or any kind of powered access rental look no further.